Staying in an apartment is the first step to live just like a local. Paris Attitude offers to rent gorgeous furnished and comfy apartments during your holidays. Search right now among more than 6 000 selected and verified apartments from studio to loft. Enter your criteria in our search engine: price, duration of stay, number of bedrooms… and make your choice among the available results. Send us your selection and one of our advisors will get back to you to finalize the booking process. To find the perfect vacation rental, choose the area in the heart of the city where you would like to live: apartment with 2 bedrooms in Le Marais? 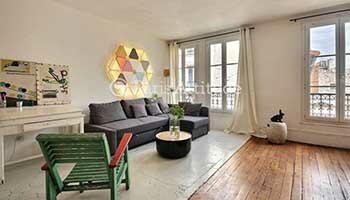 Wonderful loft near Champs Elysées? Studio in the Quartier Latin? We propose accommodations in any location of the city of light. All our apartments are fully equipped, easy to reach from train stations or airports, close to museums and touristic points of interest.